Q COSTA RICA Ensuring quality in the education of medical students is one of the priorities that Karen Mayorga Quirós, the new head of the Ministry of Health, says she will focus on. Other priorities will be to continue the process of joining the Organization for Economic Cooperation and Development (OECD), to promote simplification of procedures and comprehensive waste management. In addition, the new minister said she will also continue with actions to control outbreaks and culminate the year as the least cases Dengue. Mayorga, a medical surgeon and with a Masters in health management, takes over the portfolio as Ministra de Salud (Minister of Health), replacing Fernando Llorca, who assumed the executive chair of the Caja Costarricense de Seguro Social (CCSS) or Caja. Since 2015, Mayorga has served as coordinator of the General Audit of Health Services and since 2010 has worked in the Ministry of Health, as director of the health areas of Siquirres and Matina (Limon) area. In her possibly short stay in the post, unless her mandate that ends on May 1, 2018 with a new incoming government is renewed, is expected to continue and intensify the current project of the Ministry of Health, with special emphasis on the development of biomedical research in the country. 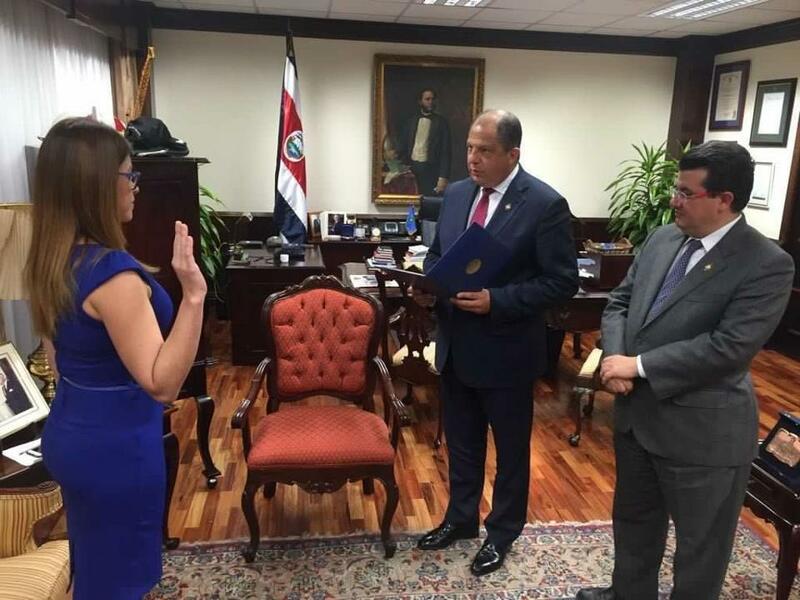 Mayorga was sworn in by President Luis Guillermo Solis last Thursday, in the President’s office. 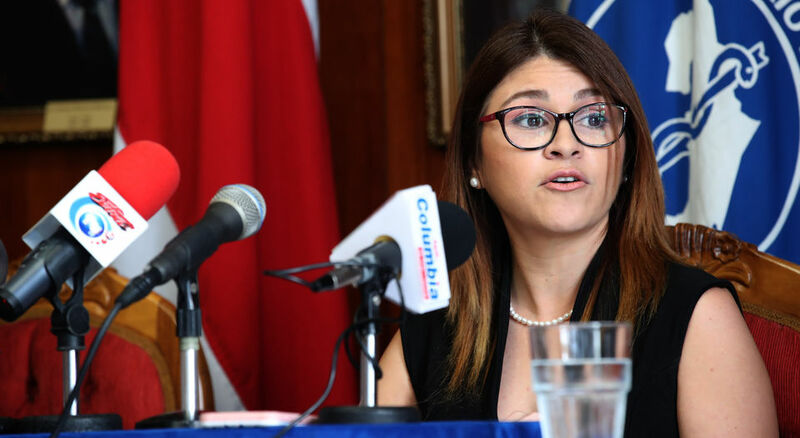 In a public statement, Sáenz told the press said that her removal was political, President Solis asked for her resignation following their 15 minute face-to-face meeting at Casa Presidencial. “It has come time to ask for your resignation,” Sáenz said were the words that the President use, in the opinion because she had voted, in the last CCSS board meeting, in favor a 1% increase in worker contributions to the Caja.